Wolfmother have uploaded the full 75 minutes of footage from their performance at the Hangout Music Festival Pre-Party in Gulf Shores, Alabama on May 15th to their YouTube channel. The show was made up mainly of hits from the band’s self-titled debut album, as well as one track from Cosmic Egg and a few from recent release New Crown. The full setlist can be seen below. Wolfmother have announced a number of new shows set to take place in May and June. Firstly, an additional seven shows have been added in the US, mostly in between the scheduled appearances at the Beale Street Music Festival on May 3rd and the Hangout Festival Pre-Party on May 15th. The band will visit cities including Chicago, Illinois; Dallas, Texas; and Atlanta, Georgia. After returning from their May 24th performance at Mexico’s Machaca Festival, the trio will then return to their home country to perform four shows in four days in Queensland, visiting small venues in Gladstone, Hervey Bay, Harlaxton, and Brisbane before heading out to Europe for their shows in Moscow and London. Check Wolfmother.net’s tour dates page for full info. First up, some news from Wolfmother.net, the original Wolfmother fan site: we have a brand new biography of Wolfmother live on the site! I have been working on this for a while now, and it covers everything from the band’s formation to the present day, New Crown and all, making a great one-stop shop for anyone wanting to find out about Wolfmother. Check it out here, and let us know if you see any oddities or if you just want to share your love for us by emailing wolfmothernet@gmail.com. Enjoy, and share with your friends! Secondly, there is some big show news coming from the Wolfmother camp soon! Andrew Stockdale himself has given us the heads up, but we’re going to hold off confirming what this is just yet, you know, just in case. For now, all we will say is that if you live in the UK, you should be ready to rock in the first or second week of July… so get ready! The news is likely to leak very soon, so as soon as that happens we will confirm what we know. Wolfmother will be supporting Black Sabbath at this year’s British Summer Time Festival in Hyde Park, London! The Sabbath news has been hinted at and rumoured over the last few days, and is set to be confirmed tomorrow anyway, but Andrew has also revealed that Wolfmother will be performing at the event as well. The specific date is not confirmed yet, but once it is be sure to get your ticket fast! In preparation for their upcoming stint touring the US and Mexico, beginning with the Beale Street Music Festival in Memphis on May 3rd, Wolfmother have announced a couple of warm-up shows in Australia in just over a week’s time. First, the trio will visit Melbourne to perform at the Corner Hotel on March 31st; tickets are available here, priced at $28 including booking fee. Two days later, the band will perform at the Oxford Art Factory in Sydney on April 2nd; tickets, priced at $28.70 including booking fee, are available here. Check our current tour dates page for all upcoming shows, and keep checking back to Wolfmother.net for regular updates on the band! Following on from the band’s first ever shows in India this past week, the setlist for Wolfmother’s performance at the Mumbai Hard Rock Café has surfaced on setlist.fm. As with almost all of the band’s setlists for the past few years, the show opened with ‘Dimension’ and closed with ‘Joker & the Thief’, both from debut album Wolfmother. Material from the 2005 self-titled effort comprised the majority of the setlist, with the rest made up of two songs from Cosmic Egg, one from Andrew Stockdale’s Keep Moving, and two as-yet unreleased tracks. The set is almost exactly the same as those performed since the band reunited, but for the exclusion of new track ‘Heavy Weight’, and presumably the same as the other two shows in India. On the back of their successful “Tropics Tour” which saw the band visit venues in Queensland through the first two weeks of February, Wolfmother have announced a number of shows over the next few months. First, Andrew, Ian, and Vin are set to make their debut in India for three shows, playing at the Mumbai and Delhi Hard Rock Cafés and the BITS Pilani Hyderabad Campus on 5, 7, and 8 March, respectively. Later, in May, the trio will make their way over to the United States for appearances at the Beale Street Music Festival in Memphis, Tennessee (3 May), the Hangout Music Festival Kickoff Party in Gulf Shores, Alabama (15 May), and the Rock on the Range festival in Columbus, Ohio (16 May). From the US, the band will make their way south to Mexico, performing two shows in the city of Monterrey — Parque Fundidora on 17 May and Machaca Fest on 24 May. Two European festival appearances round out the current slew of dates, namely Azkena Rock Festival in Vitoria-Gasteiz, Spain (20 June) and Park Live in the Russian capital Moscow (29 June). Check out our tour dates page for more information, including ticket links, and head over to our Facebook page to tell us which shows you’re planning on going to. After returning as a trio less than two weeks ago, Wolfmother have performed their first new song since the release of frontman Andrew Stockdale’s solo album Keep Moving earlier this year. The group — which now comprises guitarist and vocalist Stockdale, long-term bassist and keyboardist Ian Peres, and guitarist-turned-drummer Vin Steele — played their second show since returning on Sunday night (November 17th), performing a new song dubbed ‘Tall Ships’ which will presumably appear on the band’s upcoming third album (fourth if you count Stockdale’s ‘solo’ effort, on which all three current members performed). You can see video footage of the performance here. Sunday night’s show took place at Brisbane’s Eatons Hill Hotel, notably one of the final venues played by the last incarnation of Wolfmother under the band’s name on New Year’s Eve 2012. Interestingly, the backdrop used for the show was the Wolfmother logo which surfaced in 2009 with the reformation of the band following the departure of original members Chris Ross and Myles Heskett. The rest of the setlist is not yet known, but here at Wolfmother.net we will update you should any more new songs surface. Wolfmother Return… as a Trio! After another few months out of the spotlight, which included another lineup change and a few recording sessions for the next album, Wolfmother returned on Wednesday night (November 6th) with a performance in frontman Andrew Stockdale’s hometown of Byron Bay, New South Wales. At their first show since July, the band presented their new compact lineup for the first time, which featured longstanding bassist and keyboardist Ian Peres, as well as former rhythm guitarist Vin Steele (who performed on ‘Stockdale solo album’ Keep Moving) taking the repeatedly-vacated spot on drums. This is the first time Wolfmother has performed as a trio since the original lineup broke up in 2008, although it is not known whether this is a permanent change or just a temporary fix. Wednesday night’s show took place at The Northern, a popular gig venue for various iterations of the band over the years, and was free to all attending. There is no word yet on the next show, or the progress of the album, although this is expected to near completion at some point in the new year. Brief video of the new lineup’s performance of Wolfmother classic ‘White Unicorn’ is available here. Thanks to various WM.net community members for sharing news and media; as always we will keep you up-to-date with any more developments! Keep in touch on the quick chat or the Facebook page (forums are currently undergoing maintenance). 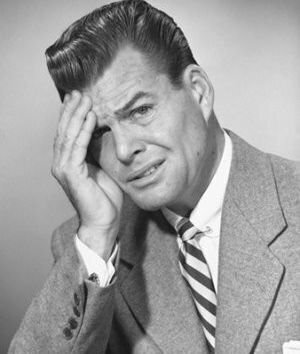 That, my friends, is a confused man – a representation of everyone here at Wolfmother.net right now. So after everything that’s happened over the last six months – Andrew Stockdale going solo, the new album, tour dates – it seems we’re back to the start. It has been announced on the Wolfmother Facebook and Twitter pages that ‘the band’ is returning to play in the United States next week. After a number of US tour dates were cancelled, with rumours flying that Stockdale was unable to sell enough tickets, it has been confirmed that Wolfmother will be playing a show at The Troubadour in West Hollywood, California next Monday (July 15th). Tickets will be available from the venue’s official website from tomorrow, and as always Wolfmother.net will keep you up to date with any more revelations in the Wolfmother/Stockdale camp! Following on from the announcement of the first North American leg of the Keep Moving Tour, news has emerged today (June 13th) that the Andrew Stockdale band will be visiting the United Kingdom and Ireland later in the year for a string of shows. Initially only five dates are confirmed (dates below), tickets for which are available from Ticketmaster, but more are expected to be announced in the coming weeks, including shows in mainland Europe. As always, we will keep you up to date with any news from the Stockdale camp, just check back to the website and follow us on Facebook and Twitter for full coverage!